Uhh...So much for a Wbba meta combo in Wbo form lol. Hahaha, KJ pointes this out to me. It’s the right thing to do. Is Spriggan Requiem still banned now? (Dec. 03, 2018 1:58 AM)CrazyAries Wrote: Is Spriggan Requiem still banned now? Nope, as Adarsh Abhinav said. It was unbanned in August. Be sure to check our rulebook for the latest ban list at any given time. It's definitely still up there. Quick question: what about the burst stopper parts on cho-z spriggan and cho-z valkyrie? Wouldn't those be a little overpowered? I don't have either one, but its just a slight concern i have. No, they aren't a major concern. Both of them have pretty large points of recoils, meaning that even with the burst stopper they have increased chance of self-KO, even in a meta which is dominated by stamina types regardless, which may not make them obsolete, it certainly slightly lowers their potential value. Also, they are a bit lighter than the most meta layers, making them a tad easier to knock around. And finally, they require a fair amount of power to activate their ability, making them harder to control. (Dec. 07, 2018 4:27 AM)DaJetsnake Wrote: No, they aren't a major concern. Both of them have pretty large points of recoils, meaning that even with the burst stopper they have increased chance of self-KO, even in a meta which is dominated by stamina types regardless, which may not make them obsolete, it certainly slightly lowers their potential value. Also, they are a bit lighter than the most meta layers, making them a tad easier to knock around. And finally, they require a fair amount of power to activate their ability, making them harder to control. probably not. Hazard kerbeus bursts too easily. I do think these rule changes are doing to benefit the meta what-so-ever. Outer shouldn't be unbanned. Attack type is still not a very strong type. They have 1 layer in the meta after not being meta for about 4 months. 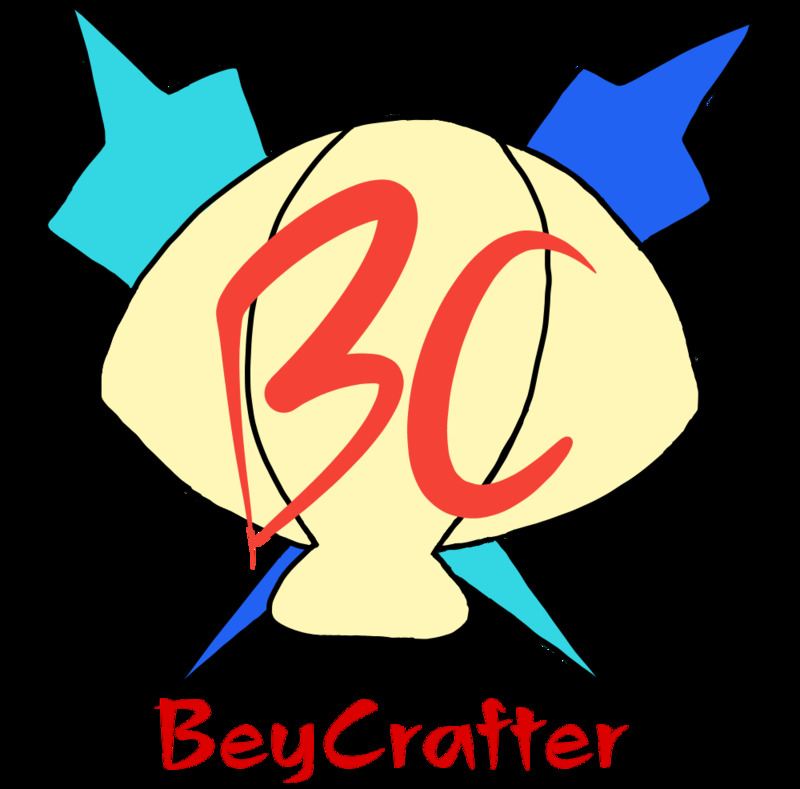 By giving Defense and Stamina beys Outer, when Defense and Stamina are already the two best types, Attack type isn't be helped in the slightest. Going with this, the ruling for Cho-Z Spriggan's mode completely contradicts why we need rules to help solve the meta. Instead of banning the problem part with spin direct changes (Bearing), you restricted spin direction. We all know Bearing is a problem since we've seen it on Hell Salamander, Spriggan Requiem, and even Revive Phoenix topping tournaments with no offensive power to check them. Meanwhile, we've has zero tournament results for Cho-Z Spriggan to even come to any conclusions about the layer while we've had plenty of tournament results about Bearing. Heck, I bet if we ban Bearing then we can let Spriggan Requiem freely change spin direction (it's already starting to become weight outclassed). I'm extremely disappointed that the rules are being made so people can use more parts rather than promote a healthy meta. I get that banning parts is unpopular since people like to be able to use what they have, but you gotta put the foot down somewhere and say that it isn't healthy. Bearing making the game boring isn't fun. Buffing Stamina and Defense when Attack is still not that amazing isn't good balance design. Thanks for your feedback, AirKingNeo! Happy to have discussions like this. (Dec. 13, 2018 3:16 AM)AirKingNeo Wrote: Outer shouldn't be unbanned. Attack type is still not a very strong type. They have 1 layer in the meta after not being meta for about 4 months. By giving Defense and Stamina beys Outer, when Defense and Stamina are already the two best types, Attack type isn't be helped in the slightest. Adding another good Stamina Disk back into the game doesn't disadvantage Attack. There's no connection there; it has no effect on them one way or another (unless you want to look compare the burst resistance of certain Disks, in which case I don't think combos using Ωuter are necessarily unburstable beasts of some kind). It's the same as when 10 was released earlier this summer. It fit in alongside Disks like 0 as an additional option for players. Of course as always, if Ωuter does have an overwhelmingly negative effect on the game, we will re-evaluate! Also, Attack types could be stronger (or a better stadium optimized for them could be made), but regardless, Attack types using Drivers like Xtreme' and Hunter' are absolutely viable and stronger than you're giving them credit for. They helped me win the last tournament in Toronto this past October and during my six week trip to Japan (September/October) I saw many skilled players use them to win battles (in tournaments filled with many Ωuter combinations as part of the mix with Disks like 0 and 10 I mentioned above). There was a lot of stamina/defense, but those that knew how to use them were successful with Attack. Generally speaking, it's really difficult to reliably counter a high-level player who knows what they're doing with Xtreme'. Especially if you have the same spin direction as your opponent. It's also important to consider the availability of Xtreme' at the moment. It isn't widely available and also wears down fast, so the number of players who have multiple copies so they can practice with it, are skilled, and attend tournaments is smaller than if it was released regularly. (Dec. 13, 2018 3:16 AM)AirKingNeo Wrote: Going with this, the ruling for Cho-Z Spriggan's mode completely contradicts why we need rules to help solve the meta. Instead of banning the problem part with spin direct changes (Bearing), you restricted spin direction. We all know Bearing is a problem since we've seen it on Hell Salamander, Spriggan Requiem, and even Revive Phoenix topping tournaments with no offensive power to check them. Meanwhile, we've has zero tournament results for Cho-Z Spriggan to even come to any conclusions about the layer while we've had plenty of tournament results about Bearing. Heck, I bet if we ban Bearing then we can let Spriggan Requiem freely change spin direction (it's already starting to become weight outclassed). Bearing is not and has never been a problem part. It's one of the most smartly designed parts in the game with the weak spring. Other same spin Stamina types and Attack types can take care of it easily. Just because a part is strong in some areas doesn't mean it should be banned; you have to look beyond that. If we banned every strong part nothing would be left because each time you ban one thing, something else rises up. It is for this reason that we always try to avoid banning parts outright. However, when it becomes necessary, bannable parts are typically those which carry an unhealthy mix of both stamina and defense, as was the case with Deathscyther, Dark Deathscyther, and Maximum Garuda back in the day. Spriggan Requiem also falls into that category but mainly because of its spin direction switching ability. This sort of ability is inherently an extremely powerful one for Beyblade because so much can be determined by the spin direction. It's often easier to OS your opponent and resist Attack if you can switch to the opposite spin direction of them. 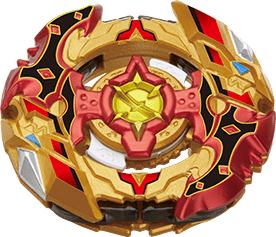 By our estimation, allowing this level of versatility for a part within a single match by allowing it to switch spin directions is too powerful, especially for Beyblade Burst where Attack types already need all of the help they can get. That's why we have banned mode changes for Sr and 超S. (Dec. 13, 2018 3:16 AM)AirKingNeo Wrote: I'm extremely disappointed that the rules are being made so people can use more parts rather than promote a healthy meta. I get that banning parts is unpopular since people like to be able to use what they have, but you gotta put the foot down somewhere and say that it isn't healthy. Bearing making the game boring isn't fun. Buffing Stamina and Defense when Attack is still not that amazing isn't good balance design. Tournament results are certainly important and we consider those, but when evaluating the metagame it's important to look at it from an objective perspective (where part availability and player skill are not factors). In retrospect I would say that there was a definite problem between roughly June and August; Attack was basically useless. However, the release of Xtreme' really did change everything from my perspective. Attack is much more competitive now because of it (and other Dash Drivers like Hunter'), and that's an objective fact. Attack isn't "amazing", but it's absolutely competitive now in the right hands. It's also important to not ignore other recent changes we made that do in fact buff Attack, like changing Burst Finishes to 2 Points in the First Stage. Whether people want to take the chance to use them in the First Stage or not is another discussion entirely, but that change does objectively make Attack more powerful for the First Stage when combined with the recent proliferation of Dash Drivers by TAKARA-TOMY. As for Left αpollos, Right αrtemis, Left αeclipse, and Right αeclipse: our definition of them as separate Layers does make sense because they are all physically different and separate pieces. There was some debate about Left αeclipse and Right αeclipse, but we decided to not allow both to be included within a Deck because we felt that despite the middle piece being different, the outer part of the Layer is the exact same for each one, so allowing both to be included in the deck would effectively be the same as allowing someone to include two copies of a Layer in their Deck. We realize that it is a bit of a weird grey area, but Left αpollos, Right αrtemis, Left αeclipse, and Right αeclipse (as well as duo αpollos, duo αrtemis, and duo αeclipse) are special in their construction, so they deserve special considerations when deciding how they can most fairly be implemented into WBO Organized Play. I’m really glad that Ωuters been unbanned, I recently got the cho z customization set and I’m very excited that I will be able to try out Ωuter in competitive play! regarding the skipping of teeth rule, would that apply to something like maximum Garuda which only has one tooth, so if it skip that and stays intact is it considered as a burst. same with Hasbro beys, as they do not have teeth how would they be judged for not bursting when they are very close to bursting. (Dec. 13, 2018 7:42 PM)MDK Shady Wrote: regarding the skipping of teeth rule, would that apply to something like maximum Garuda which only has one tooth, so if it skip that and stays intact is it considered as a burst. same with Hasbro beys, as they do not have teeth how would they be judged for not bursting when they are very close to bursting. Its when the Disc stoppers are at the end, but the Bey didn't burst after that. When that happens, it means the driver is caught on the ledge and is unable to get off because there's not enough room for it to move. This has only happened with TT Beys like Mad Minoboros(the only one I remember having this issue). Some Hasbro Beys have sometimes a delayed reaction when they Burst, but they never got caught. At least not with mine. (Dec. 13, 2018 4:25 AM)Kei Wrote: Thanks for your feedback, AirKingNeo! Happy to have discussions like this. It's a disadvantage to attack because it gives Stamina more options. If I had you fight someone, and I gave you and your opponent the choice of 3 different types of swords. If I gave your opponent a 4th option, but not you, it would be a disadvantage to you. They have a greater power of choice. Bringing it back to beys, it means in deck format people can do 0, 10, Outer (instead of 7). 00 will totally disrupt this idea though (if it is broken, which it might be, I can see it being banned). Actually, you pretty much listed why Bearing is a problematic layer. The only weakness of it is in the weak spring. That's problematic because it's EXTREMELY easy to avoid. Just slap on a left spin bey. Yes, counters like hS with Destroy exist, but that's it. There's no much else that can beat it. Nobody is using bL because it's too risky and generally bad anyways. Furthermore, Spriggan Reqiuem is slowly, yet surely, being power crept out of the game. It can beat thrashed around by CzV, CzS, hS, dH, and occasionally rP. It's only saving grace is countering aH, occasionally beating rP, and Bearing combos. Allowing it to direction change would be extremely helpful, except that means Bearing would be broken on it because it could always avoid Bearing's weakness. Also, allowing mode changes on CzS and Sr wouldn't hinder attack at all. By default, CzS and Sr would start in left spin mode because left spin is inherently stronger. If they change to right spin, where Attack would have a better matchup, then they can't change back to left under WBO rules regarding mode changes. Dash Drivers help attack pretty well, but the limited availability of X' makes it very hard to see attack topping tournaments. However, Ds' is readily available, so I think we're going to see a lot more dH in tournaments. - Bearing being banned on dual spin and left spin layers because it loses its weaknesses. Right spin Bearing keeps its weaknesses. - With Bearing banned on dual spin, Cho-Z Spriggan (CzS) should be allowed to mode change (spin direction). After a few events as testing, then it should be determined if it's too strong or not (obviously the combo that could most abuse this would be CzS.0/7/10[any meta frame].Ds/Ds').